No Attorney-Client Relationship. This site is intended for entertainment purposes only. Haute off the Press may contain discussions or commentary on the law. Nothing in this site should be interpreted or construed to constitute legal advice or to establish an attorney-client relationship with anyone who reads or uses it in any way. No Warranties. Because I am not your attorney and you are not my client, you should not rely on anything on Haute off the Press. If you have any questions related to a legal matter in which you may be involved, you should contact an attorney. Nothing contained herein is warranted that any discussions of the law are accurate. And even though I might Judge You When You Use Poor Grammer, I do not guarantee that your senses won’t be shocked by a misplaced modifier or dangling participle. My Personal Opinions. 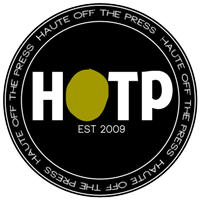 The opinions expressed on Haute off the Press are my own and those of the other individuals who post. This blog is neither affiliated with any of my employers, past or present, or clients, past or present, nor are any of the opinions herein theirs. Intellectual Property Ownership. All original content is (c) 2009, Read My Lips. All copyrighted expression quoted or included, or all third-party registered or common law trademarks remain owned by their respective owners, and are being used for descriptive or nominative fair use or fair comment. I will do my best to attribute all linked or quoted work, graphics, and images. You mean in the sale? No plus sizes. Mainly 6-10.